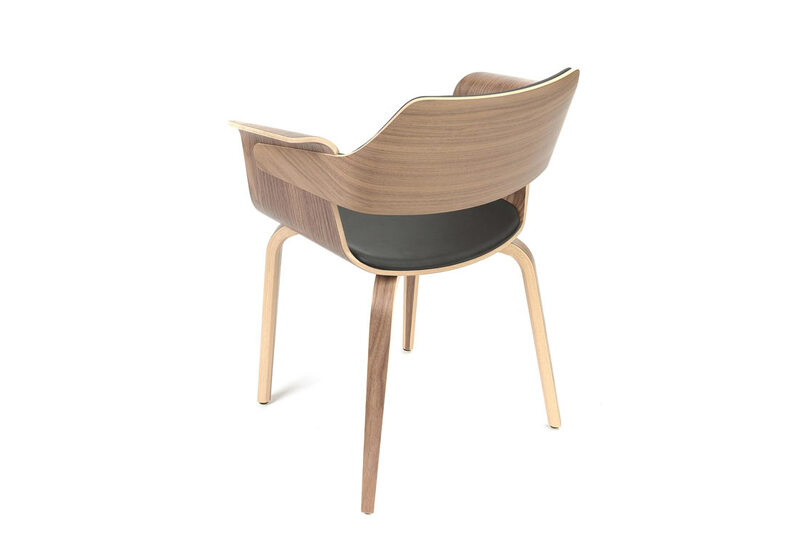 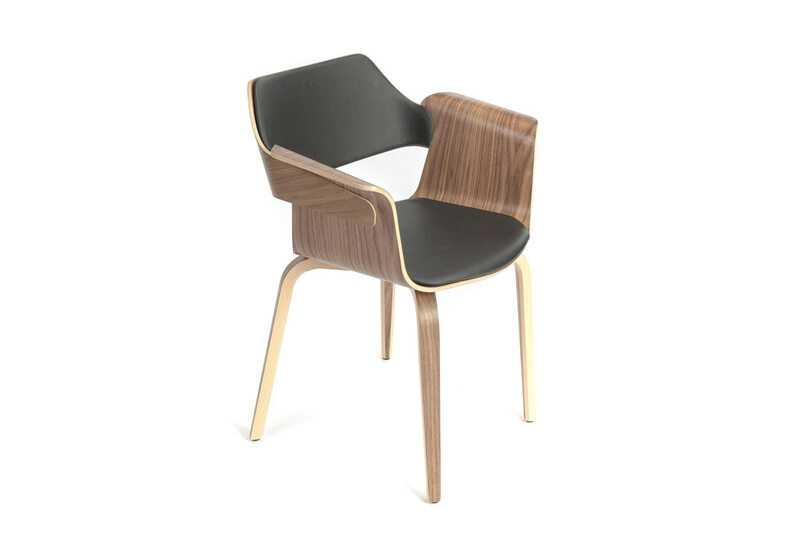 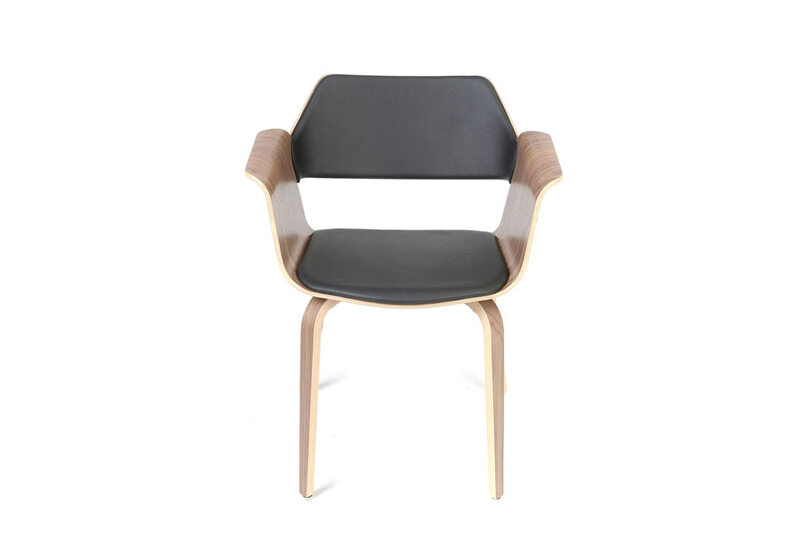 The Flagship chair conveys the natural warmth and character of wood, but is soft in it’s shape and conforms well to the human body due to the material (plywood) and it’s forming. 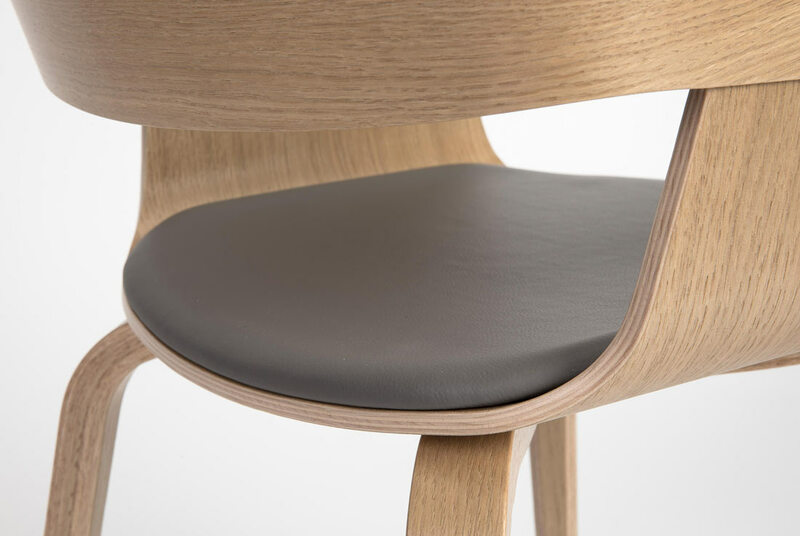 Several comfort enhancing ergonomic features were employed: the front edge of the seat is bent downwards in order to avoid cutting into the occupant’s thighs, tthe armrest is in the proper height and has sufficient area, the backrest gives support for the lumbar region. 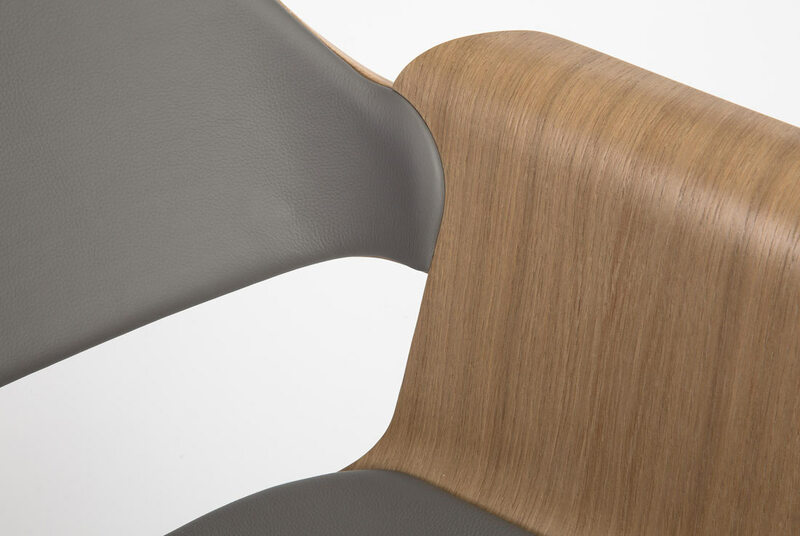 Even though the seat shell is constructed from two pieces, (seatpan with armrest and backrest) it gives the impression of an organic, one-piece shell with the upholstery being an integral part of the composition rather than just a simple overlay, fitting exactly into the recess created by the overlapping parts.